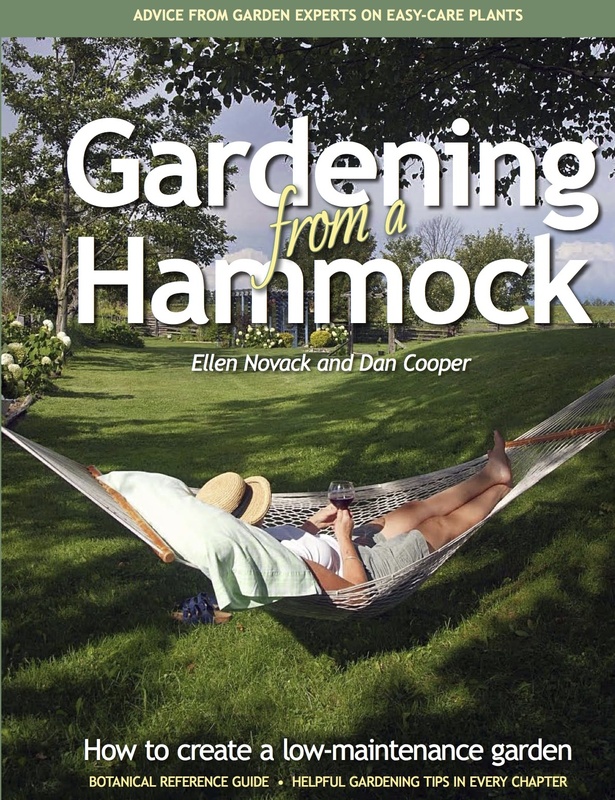 We are delighted to introduce a low-maintenance gardening book that borrows expertise, tips and valuable experience from nationally recognized gardeners. We also are grateful to all the photographers who so kindly let us use their wonderful photos for the sake of educating and sharing their love of gardening. Please check out their individual pages under gardeners and photographers and their websites from the adjacent Honour Roll. As well, special thanks to Dave Cooper at ttc for his page design and support, and Wendy Thomas for her editing skills. A special thanks to Linda Chaplick for meticulously reading and editing along the way. We are glad you came by to learn about our Gardening from a Hammock. It also is available at many stores including the Toronto Botanical Garden shop in Toronto, Sheridan Nurseries, selected Lee Valley stores, as well as through Amazon.ca. Like our gardens, we trust this website will grow as we learn and share along the way.